Here is a great looking, high resolution and professionally designed mockup of a soap on soap tray. This soap mockup has been designed in Adobe Photoshop and available as a PSD file. You can use this beautiful mockup to showcase your logo designs, especially for soap industries. This freebie has been designed and released by Berdiya Onur. You can change the color of the soap with just a single mouse click. 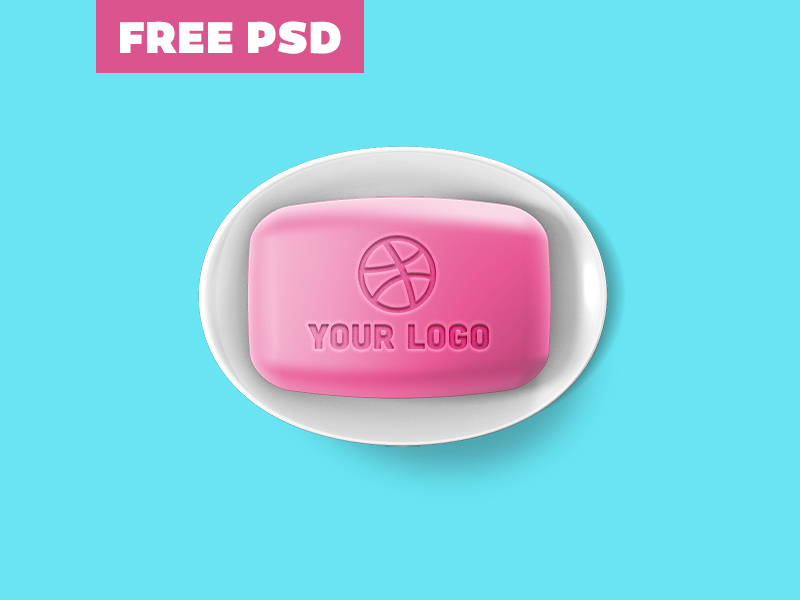 Though this soap mockup would be a best fit for logos but can be used to place any kind of design. It is a best fit for web and print projects and the good part is that it is free for both personal and commercial uses.